I’m announcing it once and for all right now – my love affair with Mint is now over. It’s still a great free money management tool, but I’ve always had a negative view about how Mint handled investments. It just didn’t do enough for my investments to really help me in my personal finances. And since investing is such a big part of my finances, I always relied on Quicken instead. But in my continued quest to move my finances to the cloud and looking for Quicken alternatives, I’ve found a free tool that really nails everything Mint does, PLUS investments. It’s called Personal Capital. And I’ve been using it for about a month now and LOVE it. The reason I loved Mint for so long is because it automatically updates and categorizes your transactions for you. You always get an up-to-date picture of your spending, and you can see where your money is going. When you get into the basic cash flow area, called “Banking”, you can look at “My Cash”, “My Bills”, or “Savings”. My Cash is just like Mint in that you can see a breakdown of where you’re spending your money. You can also switch tabs and see where you are earning your income from as well. 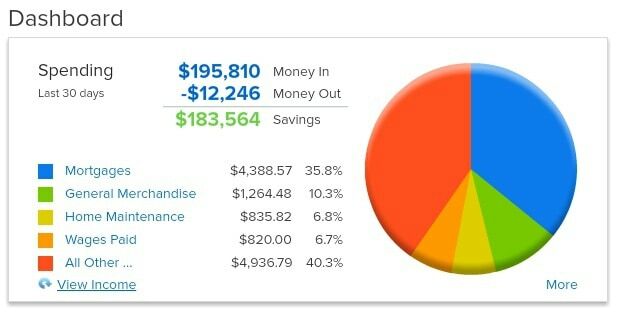 The “Savings” tab is the equivalent to Mint, in where Personal Capital will show you better options for earning money on your savings account. Right now, it recommends the Everbank savings account as having the best interest rate on a savings account. What always frustrated me about Mint (and sometimes Quicken) was the transaction management. So far, I’ve found Personal Capital to be excellent at correctly managing all imported transactions from my brokerages. For one asset, they didn’t get the symbol (due to the fact it is in a transfer company, not a brokerage), but I was manually able to input the symbol. Personal Capital was designed around the investor in mind, and their products and services are aligned to the group of people. However, I have been very pleased with their marketing strategy – the reminders are there, but there is no hard sell. I don’t feel intimidated that I need to use an adviser or else, and that makes me like their product even more. Don’t just take my word for it – see for yourself. Just like Mint, Personal Capital is free. It only takes a matter of minutes to input your bank logins and get your data live. 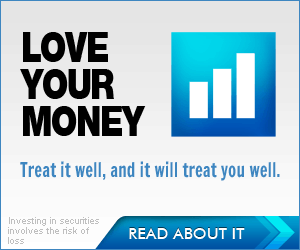 Personal Capital even advertises it will take just 29 seconds if you have one account to add. You might want to check out Investor Junkie’s review of Personal Capital as well. There is a great video review demoing the main features of site as well. Spend 29 seconds right now and check out Personal Capital, and then leave your thoughts below! I’d love to hear what you think about this product. Looks like a great tool that I might have to try out. I never even bothered with Mint to be honest. I would probably give this a try and I am happy to see they don’t crowd you with ads. Love the interface of the app. You should give it a try, I think you will like it. I LOVE IT TOO! IMO mint is more for the person who wants to save and get out of debt and personal capital is more for the investor. I really love how it breaks down all of the numbers and I can see everything all at once. This sounds like an interesting tool. I tried Mint before and it didn’t work too well for me. Now I just use a spreadsheet, but obviously it doesn’t do all the things Personal Capital does. Once I start investing again, I will give Personal Capital a try. It’s not even for just investing – I would take it over a spreadsheet any day. Plus, it’s free! Thank you for this! I currently use mint myself but will be signing up for this tool. I wonder if its going to be working in Canada. I’d to use it since I don’t like mint all that much either. I don’t know but I will reach out and ask. Wow, it looks like a great financial tool! I have used Yodlee for a long time and to be honest I am also having problems on some of its features. I will definitely give Personal Finance a try to see whether it fits my preferences.